Architects at Boston's CambridgeSeven have recently completed work on a sea study lab that includes the world's largest hurricane simulator. The 86,000-square-foot space, part of the Rosenstiel School of Marine and Atmospheric Science at the University of Miami, was pummeled by 2017's Hurricane Irma, but its ultra weatherproof design enabled the building to survive the storm relatively unscathed. Perhaps the most distinctive component of the facility, officially known as Marine Technology and Life Sciences Seawater (MTLSS) Research Complex, is its hurricane simulator. The two-story storm room holds the SUrge-Structure-Atmospheric INteraction (SUSTAIN) lab, three wave and wind tanks that researchers deploy to ravage model cars and homes so they can better predict the path of hurricanes and understand the physics behind storm strength. During Irma, the facility was subjected to the conditions it was built to study, and after the Category 4 storm subsided, the wind and wave tanks became temporary homes for fish from other labs displaced by flooding. 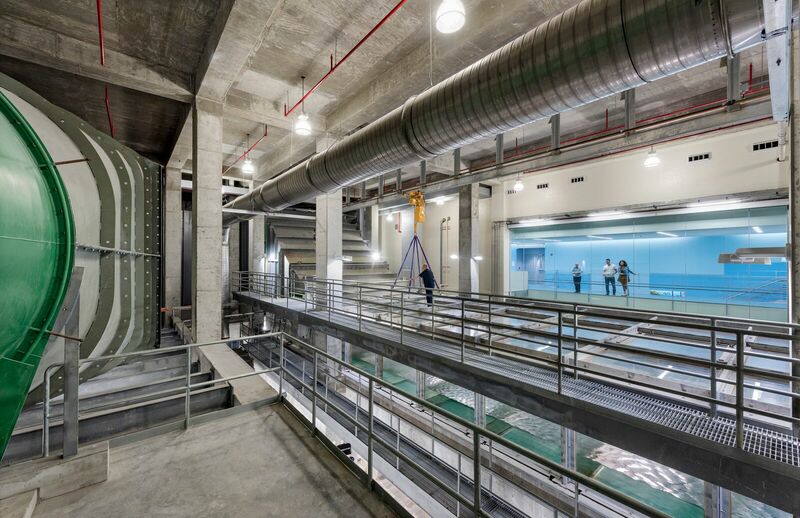 In spite of—or perhaps owing to—natural disasters like Irma, though, the MTLSS complex maintains a strong connection to the sea: Water from Biscayne Bay is filtered for heat and cooling purposes, as well as purified for use in the facility's overflow-resistant seawater tanks, which together hold 38,000 gallons. 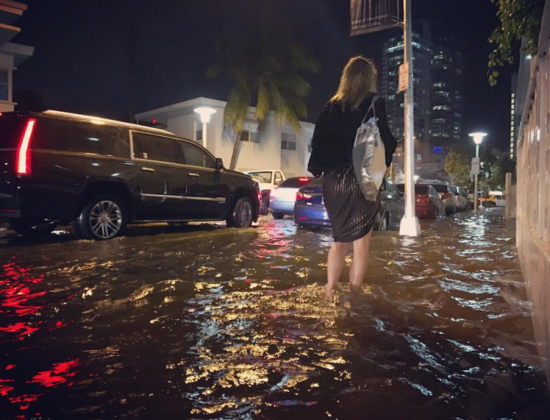 The entire three-story facility, which includes offices and classrooms in addition to labs, is raised 15 feet above ground, a flood-proofing must in Miami. Miami’s up-and-coming design scene is looking to the city’s past, materials, and building vernacular to realize new design that is all about Miami. The Architect's Newspaper spoke with five of the hottest firms in the city to find out what the rest of us might be missing out on in the 3-0-5. How does your practice’s ideology manifest through your projects? The portfolio of projects, both domestic and international, displays an intense commitment to the discipline of architecture, its material culture, and constructional conventions. The work challenges the double tyranny of program and diagram that have come to dominate the design process today, relying on a broader understanding of history and typology for a looser and therefore more sustainable fit between program and form. What trends should everybody be watching for in Miami? Miami is a young city that has experienced unprecedented growth in the last decade. As the city develops its urban core in response to rising seas and global climate change, it is necessary to not only build more sustainably but to invest in the public realm, particularly with regard to public space and transportation. How does your practice’s ideology manifest through your projects? We are a design practice dedicated to examining the material relationships of building concepts by focusing on the collisions between materials and representation. In years past, faced with a lack of clients, our focus was primarily design as research, engaging materials as a type of sparring partner…bending, testing, and manipulating basic materials looking for new design potentials through feedback. Recently we have had the opportunity to build buildings, so we have tried to engage materials and details as a way of destabilizing basic assumptions about design and construction. We strive to engage construction itself as a culturally transformative act. What trends should everybody be watching for in Florida? In Florida, one must be concerned with where the water is. The built environment here is always considered in terms of its proximity to the water. The opening of the Pérez Art Museum in Miami illustrated new potentials for articulating the edge between the interior and the exterior space, and also for the positioning of the building in relationship to the Biscayne Bay. The museum seemed to revive historic examples of vernacular architectures for addressing these concerns, drawing from references including an old community of buildings actually built out in the bay, called Stiltsville. NC-office Peter Nedev, Elizabeth Cardona, Cristina Canton, and Nikolay Nedev. How does your practice’s ideology manifest through your projects? We believe that architectural design is a process of accommodation, rather than scientific deduction. Our practice does not subscribe to predetermined biases. Instead, we search for the most appropriate solution to any given condition largely influenced by the specificity of the place and the particular needs of the client. Our work aims to be environmentally conscious, sensitive in its use of materials, and appropriate to its dimensions. We believe that there is no single truth in the production of meaningful design. Any upcoming project you are particularly excited about? We are currently working on a commercial brewery and tasting room that will be located in Hialeah, Florida, within a new district created to promote art and culture called the “Leah Arts District.” It will be the City of Hialeah’s first brewery. What trends should everybody be watching for in Florida? There is a rediscovery of Florida’s tropical vernacular and a return to that elemental knowledge in the use of louvers, screens and passive design strategies. These responses to site and climate are contributing factors for the implementation of current and new construction methods. Studio Roberto Rovira Roberto Rovira Could you talk a bit about your studio’s process and philosophy? Our studio operates at the intersection of landscape architecture, art, and technology. We view landscape’s innate lack of resolution and inexactness as strengths. Our work strives to engage the in-between, the ephemeral, and the passing, and we embrace a mode of practice that alternates between art and design as essential methods of inquiry. Do you have a recent project that you are particularly excited about? One of the projects about which we are most excited is our Ecological Atlas, which attempts to simplify the visualization and understanding of the natural world. By using intuitive, graphic mappings that can convey changes in bloom times, deciduous tree patterns, produce seasonality, animal migrations, and other time-dependent phenomena, the Ecological Atlas facilitates a comprehensive understanding of the natural world in ways that are essential to building a sustainable and resilient future. It bridges art, science, and design, and connects the power of data and technology to the rich complexity of natural systems. Touzet Studio Carlos Prio-Touzet and Jacqueline Gonzalez Touzet How do you approach design, and how does that set the office apart from others in Miami? We are architects who love modernism and finely crafted design solutions. Our work is very intensely research driven—inspired by nature, technology, and the culture of the place or the people for whom we are designing. We think of our architecture and design as a way for us to tell stories and reflect about the people and the place. Our attention to detail and understanding of materials is an area where our studio is fairly unique in Miami. We love the creative exploration and intellectual journey as much as collaborating with builders throughout the process on the end product. We probably do more historical and material research, and build more study models and full-size mock-ups than other local firms. 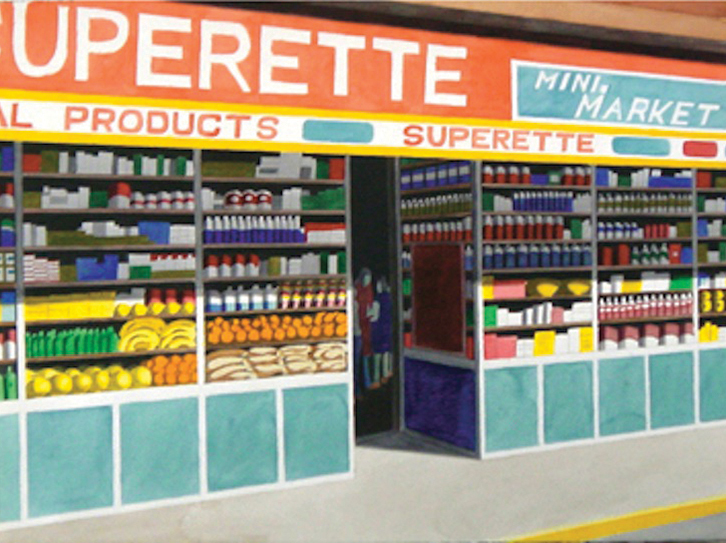 We still draw by hand extensively, as well as make heavy use of the digital tools available. We envisioned our studio to be a real collaborative studio environment, not just an architectural office. Do you have a recent project that you are particularly excited about? 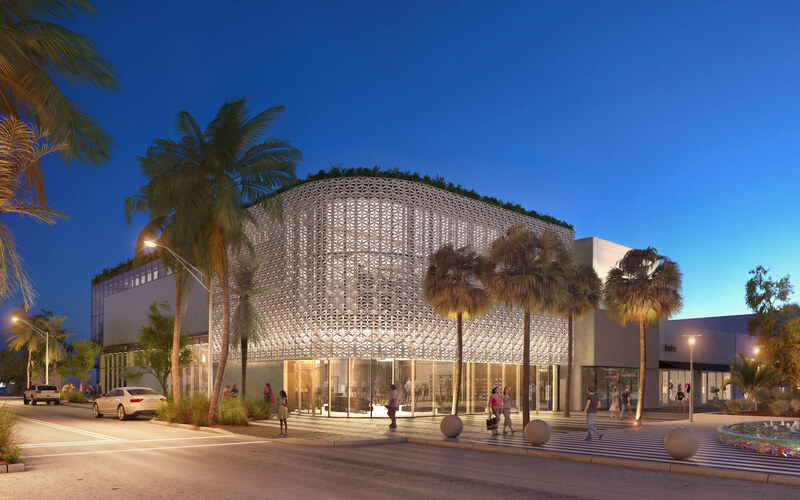 We recently completed a couple of flagship buildings on one entire block of historic Lincoln Road in Miami Beach, including the new Apple Store, Gap, and a recently completed Nike Store. All three projects were for global design brands that wanted a unique expression of their vision in Miami, and were very well-received by the Historic Preservation Board. RAD LAB RAD-UM at the University of Miami is one of the most creative and productive research initiatives in an architecture school today. The concept for the lab is the creation of Dean Rodolphe el-Khoury who has migrated the lab from his academic positions at the University of Toronto (where the lab continues) and California College of the Arts in San Francisco. El-Khoury has developed and refined this experimental studio beyond the normal closed university studios into one the most important and productive research centers in the country. It has been commonly accepted in academia and advanced sectors of the design profession that the future of computing is not in static table-top machines, but embedded in objects that surround our daily life like a Nest Thermostat or lighting that senses the presence or absence of people in a room. RAD-UM has taken this reality of our changing relationship with technology and asked design researchers and students to imagine its potential and real effects on our public and private spaces. For their first project, Bio-Reactor, they created a set of acrylic shelves with LED-lit algae jars. According to the website, “Each LED can be individually controlled and thus, through photosynthesis, the rate of growth of the algae in each jar and subsequently, the density and color of each jar, can be controlled.” It is a beautiful low-resolution display and el-Khoury believes it will have a more important long-term effect for living walls. 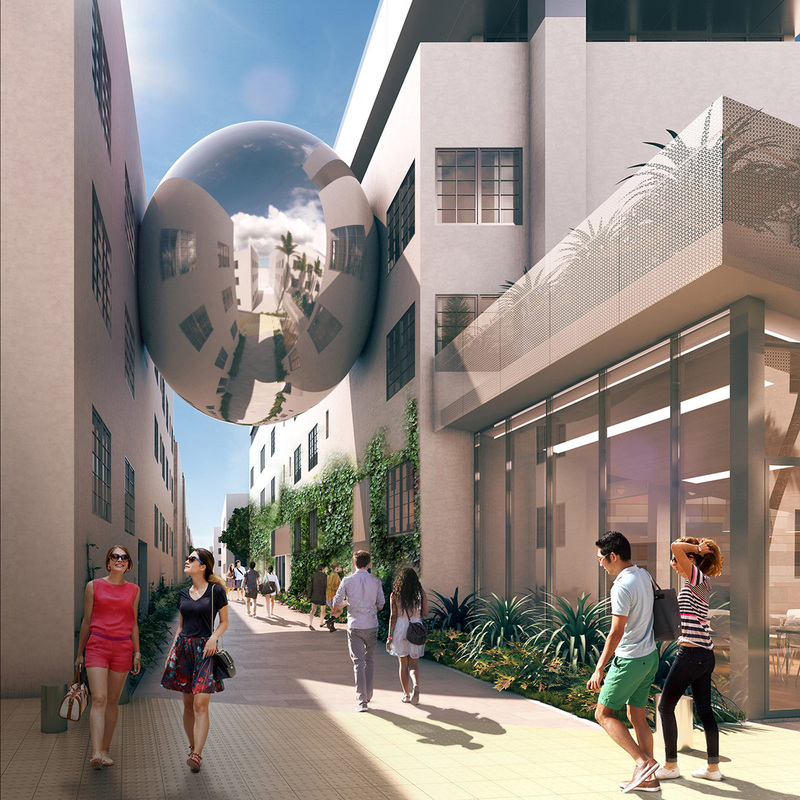 The Miami Beach Urban Studios The Miami Beach Urban Studios is a research center on Lincoln Road that brings together faculty, students, and outside collaborators from seven different disciplines in art, design, and technology. The studio’s executive director John Stuart described it as “the love child produced by a wild night of beach partying with the MIT Media Lab and the Wexner Center at Ohio State University.” “If you want to see the creative soul of these other universities,” Stuart continued, “you need to know what these research centers are doing—it’s the same with our lab and Florida International University.” Stuart thinks of the facility as a “connecter or collider” where often disparate disciplines meet at the center’s unique 3-D printer—the largest in the world. The lab has 3-D-printed large-format images of a Morris Lapidus building in Miami Beach and multiple projects profiling potential scenarios and the effects of sea level rise on the community. A final project that demonstrates the diverse collaborators in the lab is a 3-D printed violin for students and veterans with prosthetics limbs. This project joined together representatives from the lab’s Human Sensation project with the FIU Adaptive Neural Systems Lab, the High Performance Database Research Center, the FIU VizLab, Venture Hive, Rokk3r Labs, and the World Council of Peoples for the United Nations. Prominent planner and architect Elizabeth Plater-Zyberk has stepped down as dean of University of Miami’s (UM) architecture school after an 18-year-long tenure. Plater-Zyberk will continue to teach at UM, whose faculty she joined in 1979. During Plater-Zyberk’s term, UM’s architecture school became closely associated with traditional and Classical design and New Urbanism. The celebrated dean and her husband, planner and architect Andres Duany, are co-founders of Arquitectonica and planners of the pedestrian-friendly Seaside, a Florida panhandle town and setting of the movie Truman Show. Associate Dean Denis Hector will serve as acting dean. Under Plater-Zyberk’s guidance, UM’s fledgling architecture school achieved nationwide recognition as a unique center for classical design and community engagement. 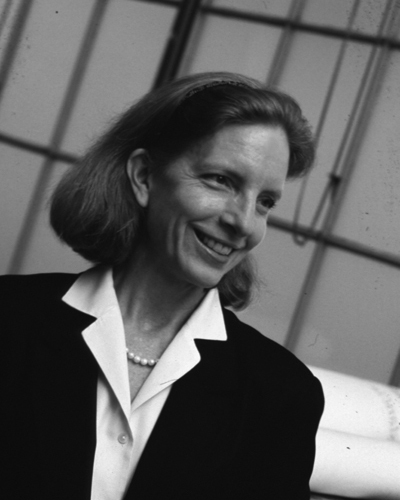 The architecture school was just over a decade old when Plater-Zyberk became dean in 1995, and since then she helped the university create “an identity that ran counter to all trends in architectural education at that time,” according to a UM statement. Before becoming dean, she guided UM’s efforts in preparing the 1992 reconstruction of South Miami-Dade County after Hurricane Andrew. She also lead the university in improving Greater Miami through its Center for Urban and Community Design and impressive projects such as a scheme for West Coconut Grove that resulted in the reconstruction of Grand Avenue as a tree-lined, pedestrian-friendly avenue. Plater-Zyberk will continue to leave her mark on the university by focusing her teaching on an up-and-coming aspect of practice: how cities and towns manage the rising seas and further consequences of climate change.